Klavaro is a free open source application that can teach students learn how to type. The beauty of this application is that it takes students through 4 stages of learning how to type in one simple application. All four stages are immediately displayed when you first install and run the program. Tipp10 is a simple but effective free typing tutor. It logs and analyzes a whole list of very detailed information that can help you understand where you're making most of your mistakes and how you can improve. Fast typing is a skill that is extremely useful in life, although not all children get properly trained in typing. While many schools often try to offer typing to some degree, usually funding and resource limitations either limit or prevent typing classes. Typingweb.com is a free online keyboarding tutorial that helps you learn proper typing technique and increase your typing speed. No registration or download is required to use Typingweb. On the free site goodtyping.com, you can learn how to type using 27 guided step-by-step lessons. The course is available in several languages, and you can choose between 18 different international keyboard layouts. Glencoe's Online Keyboarding tutor by McGraw-Hill is excellent for people of all ages who want to learn how to type. The course is divided into 16 individual typing lessons and are broken down to include home row, space bar, numbers and symbols, caps lock and other punctuation marks. 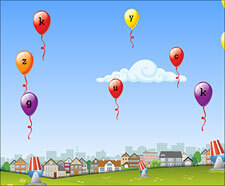 e-Learning for Kids Keyboarding Skills is a free Internet course for children wanting to improve their typing skills. The goal of the program is to earn medals and trophies while participating in the Type-E-Chi Virtual Typing Tournament. At Typeracer.com, you are matched against random human opponents, and you race to see who is the fastest typist. Typeracers is available both online and as a Facebook application. In BBC's online typing school Dance Mat Typing, you meet a cartoon goat and other cool, exotic animated animals that help you learn typing. A fun way for kids to learn keyboarding! This simple but neat flash-based keyboard game from Big Brown Bear Software displays a keyboard, and hightlights a key for you to press. If it is correct, you gain a point, and if you are wrong, you lose a point. In this online typing exercise, you can either practice a text of your own choice, or choose between 15 different lessons. When you strike the wrong key, animation will show you where the key is and which finger to use. Bruce's Unusual Typing Wizard is a typing tutor to learn and practice typing. 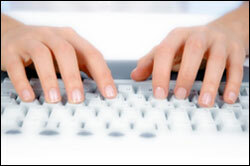 It is designed to accommodate both beginners and experienced typists who are looking to gain speed or accuracy. Tux Typing provides an action-filled experience for kids who want to learn how to type. In the various exercises, letters or words come falling down from space. The task is to type them as quick as possible, earning the highest score with the most typed.